The FAA is expected to grant Vietnam Category 1 rating. This means Vietnamese carriers would be able to launch direct services to the United States. While some Vietnamese carriers are already planning this, others currently don’t have the required range for such a service. The proposal to grant the new rating would be a boon for both passengers and Vietnamese Airlines. Currently, passengers travelling to the US from Vietnam are required to change in a number of Asian countries such as Japan and China. Vietnam Airlines has been attempting to obtain permission for direct flights to the US for quite some time now. Back in 2004, the airline made its first attempt at securing a Category 1 rating. This application was unsuccessful. This was as the FAA didn’t recognise the CAAV’s safety standards. However, it seems as though these have drastically improved since then. Despite lobbying to be able to operate flights to Vietnam, Vietnam Airlines is reportedly sceptical about launching the services. Vietnam Airlines CEO, Duong Tri, has previously said that Vietnam Airlines could lose up to $30 million per year when such a service is launched. In fact, it is estimated that Vietnam Airlines would take 5 years to break even on US services. While it is Vietnam Airlines who are lobbying for Category 1 classification, others will benefit too. The classification will mean any Vietnamese airline can start flying to the US. 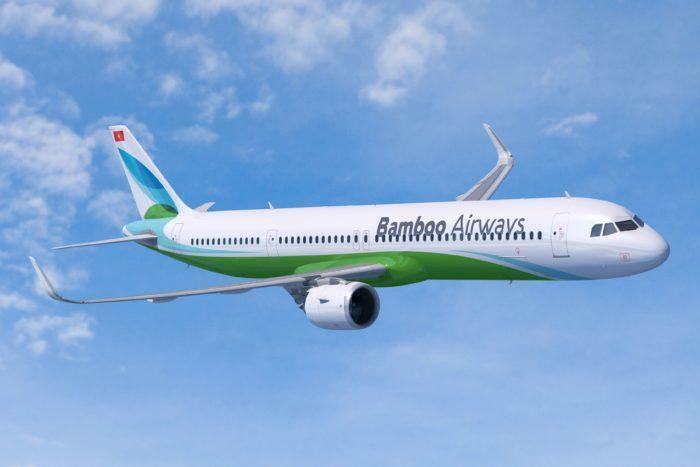 We already know that Bamboo Airways is looking to fly direct to San Francisco and another US destination. Additionally, VietJet is looking to launch flights to the US. With Vietnam’s tourism industry booming, it is expected that US tourists would make good use of direct flights to the country. In 2018 687,000 tourists visited Vietnam from the US, a figure up 11.9% from 2017. However, Vietnamese citizens are also set to take advantage of flights. There are 2.1 million Vietnamese citizens living in the US. When do you think Vietnam will receive their Category 1 status? Let us know in the comments down below. HAN-SFO is only about 7,900 miles so its definetly doable with a 787 as well. * Will it be cheaper to fly nonstop or connecting from the US west coast to Vietnam? There are Asian countries having connecting flights to Vietnam from the US west coast such as Korea, Japan, China, Taiwan which can lower flight prices if using connecting flights. In short, Vietnam-US is a niche market and will also face competition so it may not be profitable. The problem will be lack of business travel between Vietnam and the US. Business and First class is where the airlines make most of their profit. These are the equivalent of luxury boxes for stadiums. Most US-Vietnam travelers are tourists or people visiting relatives and will only travel in economy. My family usually go to Vietnam every other year to visit relatives. I am only willing to pay at most $150 more per ticket for direct flight for economy seats. Currently we fly with EVA Airlines which has 9-seat abreast in economy in the 777 which is great. Vietnam Airlines 9-seat abreast in the A350 will be a little tighter but still acceptable. I will never go in a 787 with 9-seat abreast even with a direct flight.